Unit 1A-1B, Ground Floor, Silverton Towers, Sector – 50, Golf Course Extension Road, Gurugram. 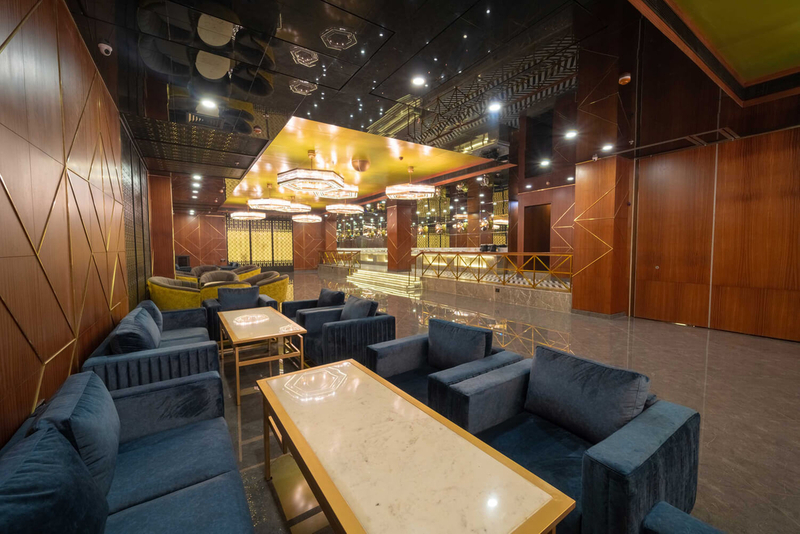 ‘Club Tivoli’ a space of 12000 sq ft, customizable venue boasting luxury decor & interiors for a wide variety of corporate and social gathering. We pride ourselves on our warm and attentive service, and aim to build relationships based on client satisfaction and professionalism. From top-end surround sound and musical/performance amenities to high definition projectors and screens for corporate audiovisual requirements, we aim to oblige any and all of our clients needs. We provide a fully licensed bar service carrying all premium spirits, soft beverages & mixers, as well as a classic yet unique choice of mixology and distilled options. For all your gathering needs, our fully equipped kitchen and in-house team of chefs offers a multitude of options - we strive to appease any palate. There are no reviews yet. You can be the first one to review.